Floriday.co.uk - NBA All-Star Game 2012 - Florida Holidays, Disney, Universal, SeaWorld - The best of Orlando! 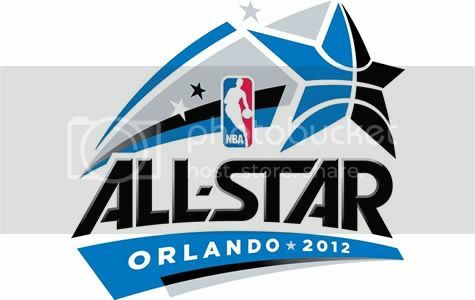 This February, the NBA is bringing one of the most entertaining sporting events to Orlando -- NBA All-Star 2012. Returning for the first time since 1992, when Magic Johnson made his dramatic comeback on the court, The NBA All-Star 2012 game is a unique experience that celebrates the NBA's greatest athletes. NBA All-Star weekend, it's been 20 long years! Welcome back to Orlando! Where magic happens! At least when reality doesn't interfere ... and the recession stops by ... and the lines shorten at Walt Disney World ... and the screams grow fainter at Universal Studios ... and the foreclosures deliver a swift kick to Kissimmee ... and unemployment soars like steamy afternoons in July. Yes, like many cities, especially in Florida, the epicenter of the economic earthquake, Orlando is trying to rally. When disposable dollars dried up and tourism took a hit, well, just imagine the Magic without Dwight Howard. (You might hear about Dwight oh, once or a million times this weekend.) The double whammy of real estate woes and squeezed family budgets threaten to cripple the world's greatest tourist destination. Suddenly, the city that loved to slap an exclamation point next to its name -- come visit Orlando! -- was stuck with a question mark instead. As in, when does relief arrive? One basketball-fueled weekend won't exactly tip the Central Florida economy into the black all by itself. Still, the goal for Orlando is to be that same city that hosted the 1992 All-Star Game, the one where Magic! (Johnson) happened. To that end, Orlando will trot out the Amway Center, a $480 million symbol of hope that was built smack in the middle of hard times. Orlando doesn't get the game without it, doesn't sell its recovery to a big audience without it and doesn't reinvent itself without it. "Part of the context of building this building was attracting the NBA All-Star game and other events," said Alex Martins, chief executive officer of the Magic. "We said a new building wasn't just about the Magic. It was about our city and what we were missing. All the big concerts were going to Tampa. We haven't had a conference college basketball tourney since the early 1990s. No major organizing sports body has brought anything to us since early 90s." And just think, a few months ago, the NBA season and the weekend itself were in jeopardy of not happening, phased out by a lockout. The game was promised to Orlando on May 4, 2010, and hotels and businesses were banking on the windfall. "That would have been a blow to our city," Martins said. "I told David Stern he'd better put me in witness protection if that happens." So the city that knows something about entertaining will happily host a slam dunk contest that may or may not involve an economy car, a handful of hip-hop parties to which you're not invited, and the debut of the ballyhooed box office attraction that promises to dwarf both Space Mountain and the Harry Potter Hogwarts ride. Yes, Jeremy Lin is in the house! "Everyone will see that Orlando's not bad, and will put on a show," said Howard, who then refused to say if he plans to stick around for the after-party. Back in '92, Orlando was exactly the type of city that professional sports craved that decade. It was a medium-sized 'burgh suddenly flush with new money and enjoying a population boom, where people quickly began to multiply faster than Palmetto bugs and strip malls. The NBA expanded to Orlando three years earlier and success was instantaneous; sellout crowds crammed a then-brand new arena (the Orlando Arena, later known as Amway Arena) that astonishingly became outdated in about 15 minutes. Not only was Orlando defined as Las Vegas for children, but also professional athletes, who built airplane hanger-sized mansions in lake-dotted communities like Isleworth, home to Tiger Woods, Shaquille O'Neal and many others. In a sense, Orlando's growth and popularity arc was a lot like the NBA's in the 80s, when prosperity ruled and troublesome signs weren't visible on the radar. The NBA had Larry Bird, Magic Johnson and Michael Jordan; Orlando had Mickey, Goofy and, in a few years, Shaq and Penny Hardaway. Theme parks were swelling, orange groves were cleared for housing developments -- it was as if Orlando had cashed in on the lottery, like the Magic did when a pair of ping-pong balls turned into Shaq and Penny. Golf courses sprung up everywhere, further hiking real estate prices ever so unrealistically, as well-moneyed northerners snapped up second homes and timeshares. And they also bought choice seats at Magic games to see a team that was supposedly the next dynasty. Or as Shaq once said, regarding he and Hardaway, "the next Magic and Kareem." But then Shaq left for Hollywood in 1996 as a free agent, Penny hurt his knee (several times), Grant Hill arrived as damaged goods in 2000 from Detroit as a free agent. Even though another ping-pong ball became Howard, the No. 1 pick in the 2004 Draft, he's not sold on spending his foreseeable career in Orlando. And this was the good news. "Central Florida was one of the hardest hit in terms of housing," said Orlando Mayor Buddy Dyer. "Home building is pretty much non-existent right now. We had an extreme correction in terms of market price and number of foreclosures. "Tourism was down double digits. We had three straight years of double-digit decline in our tourist development tax. People postponed or didn't do vacations. It was a significant decline in our tourism economy. We came back strong in the last year, with 51 million visitors. But it's going to be a slow, steady recovery. We had a presentation by our convention and visitors bureau the other day and they mentioned it would be impossible to purchase the type of advertising and exposure that we'll get from the All-Star Game." At least Orlando's timing was solid, in another sense. All the bonds and financials were secured for the construction of Amway Center (along with a new performing arts building) just prior to the economic uppercut. Amway Center, not to be confused with the soon-to-be-bulldozed Amway Arena, was the town's boldest project in recent history. In a spirit of cooperation that's uncommon in cities, especially in the midst of historic decline, city, county and team officials made it work. The public-private partnership ensured the arena was finished on time and on budget. "It was certainly challenging but also some advantages as well," Martins said. "We were able to stretch the construction budget further than we could've imagined because the construction industry had nothing else going on. As many disadvantages as one could perceive when building in a down economy, the workforce was available, material pricing was low and we had no major delays. "We walked into the building with all the suites sold, had highest corporate partnership in the history of the organization and the highest season ticket base in the history of the organization. And I think that speaks to how starving our community was for a first class building." As for the impact of the weekend, "it will be $100 million. The theme parks will get a shot in the arm at a time of the year when they don't get their highest visitation. This comes at a necessary time." One of the main figures in the construction of the building -- and the Magic -- is slowly withdrawing from both. Rich DeVos, the grandfatherly Magic owner, has gradually distributed much of his shares of the team to his children and even grandchildren, mostly for estate-planning purposes. At 85, Devos has the team run by Martins (who was the Magic's PR director during the '92 All-Star Game) and Dan DeVos, one of his sons. "This team will be in our family for a long, long, time," said Rich DeVos. The family patriarch mostly gets around by wheelchair these days and there's a groundswell of support within the family and the organization to win one for Mr. D.
"The pleasure he gets out of owning this team and what it does for this city has brought a dynamic to his life that maybe he didn't have before," Martins said. "If it weren't for him this arena wouldn't be built. He contributed more of his own money to this building than any owner has to a public facility. This will be part of his legacy. It's going to mean a lot for the economy when big events come here on a regular basis." DeVos is both amused and touched by the sentiment, but he makes one thing clear. "I want to win a ring," he said, "but it's not for me, it's for them." And so Orlando, ever so gingerly, is taking steps toward better days. For the city and for the Magic. The arena is the common link between the two and will remain in place, well beyond the weekend, when Orlando hopes to get tourists to arrive and the Magic hopes to keep Dwight Howard from leaving.